I’m inspired by the more just world that is possible, and the acts of courage that people make every day to bring that world into being. 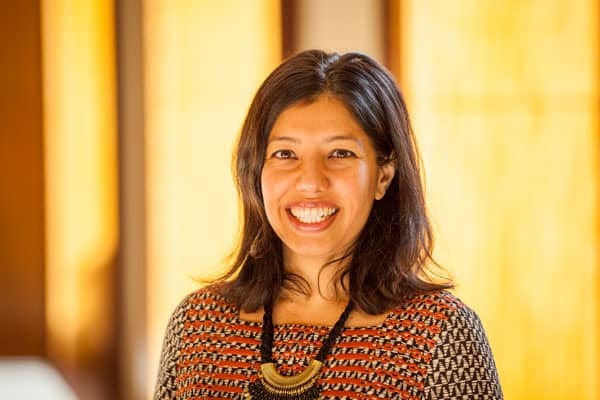 Dimple Abichandani joined GSF in late August 2015 as the Executive Director, bringing two decades of experience advancing social justice as a funder, advocate and educator. She was previously the ED of the Thelton E. Henderson Center for Social Justice at UC Berkeley School of Law, and the founding program officer for the Security & Rights Collaborative at the Proteus Fund. Earlier in her career she was a legal services attorney and represented low-wage workers and low-income immigrants. Dimple earned a JD at Northeastern University School of Law, and a BA in English with Honors at the University of Texas at Austin. Outside of work, she finds joy in time spent with family & friends, gardening, and yoga.